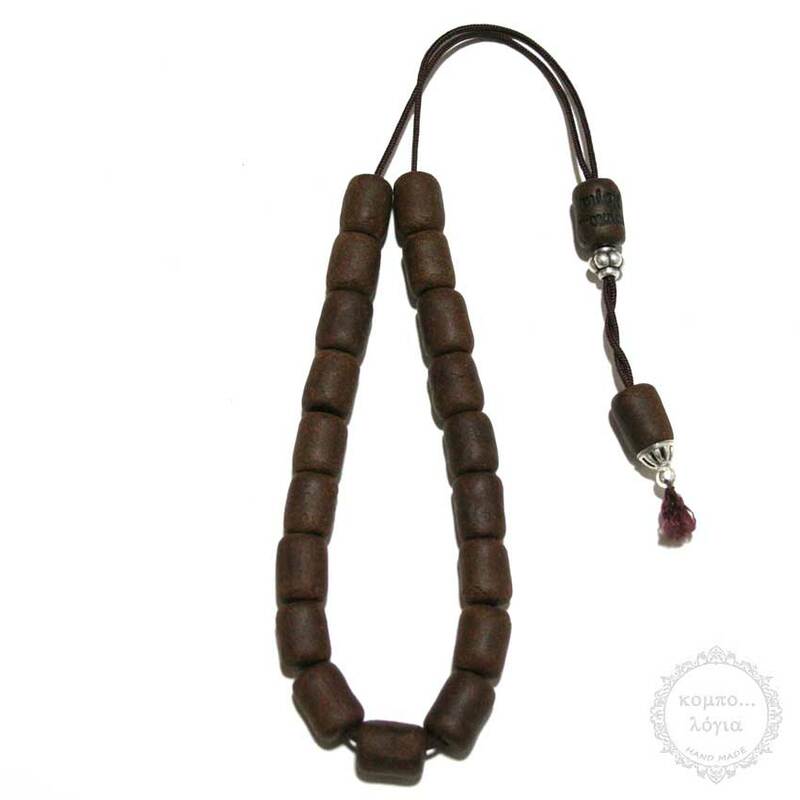 Coffee handmade komboloi created with 19+2 natural Coffee beads in barrel shape of 12x16mm diameter with original tibetan silver metals, 34cm total length, and 37g total weight. It comes with a free gift vintage pouch. Coffee beads are created in our Kombologia workshop from pure Traditional Cyprus coffee, after a special 60 days treatment. These unique beads are Handmade invented by Kombologia.com. This komboloi have a strong aromatic smell of fresh Cyprus-Greek Traditional coffee. A Limited Edition, collectible Komboloi.